Grave robbing is a messy business. A bad business. And for Thomas Marsden, on what was an unremarkable spring night in London, it becomes a very spooky business. For lying in an unmarked grave and half covered with dirt is a boy the spitting image of Thomas himself. This is only the first clue that something very strange is happening. Others follow, but it is a fortune teller’s frightened screams that lead Thomas into a strange world of spiritualists, death and faery folk. Faery folk with whom Thomas’s life is bizarrely linked. Faery folk who need his help. Desperate to unearth the truth about himself and where he comes from, Thomas is about to discover magic, and ritual, and that sometimes, just sometimes, the things that make a boy ordinary are what make him extraordinary. 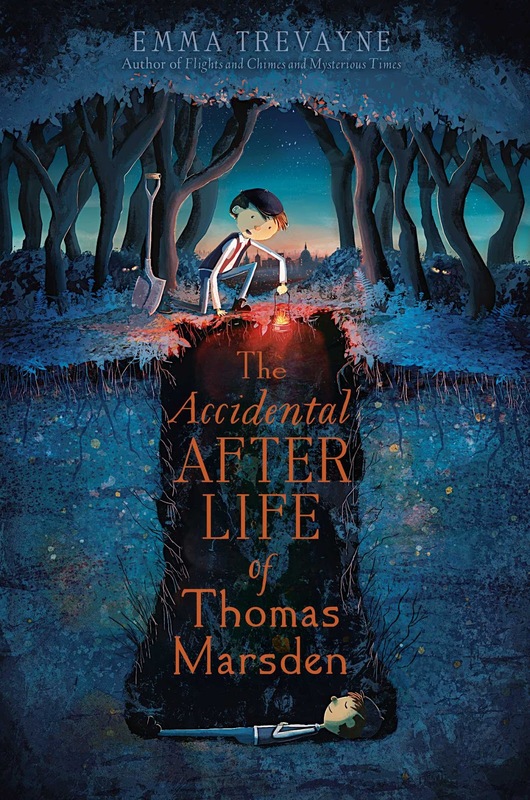 The Accidental Afterlife of Thomas Marsden by Emma Trevayne is a middle-grade book about graverobbers, fae and dubious morals. It's spooky and wonderful. This young grave robber’s accidental afterlife begins when he discovers a boy who looks just like him in an unmarked grave and begins a journey of discovery as he learns of fairies trapped in London and their hope that he can help them. So begins Thomas's accidental afterlife where he discovers that all may not be as it seems in Victorian London. Not only might magic be real, but his help is needed to free the faeries who have been captured by a Spiritualist. The clock is ticking and Thomas is just a boy, what hidden talents might he have been honing all those years in the graveyards? A touching adventure in trust and friendship, with hair-raising moments and a satisfying ending, I can strongly recommend this book. If you've read this can you drop a line? There's something in the very last bit about Thomas's proposal that I don't understand.